Rajasthan PTET exam time is 3 Hours. In this exam there candidate have to attempt 200 Questions. Total Marks of the exam is 600. 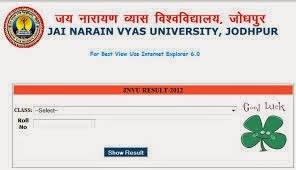 After click there would be open a new Window, There you can check your exam result by entering details. IF YOU LIKE THIS BLOG AND WANT FREE JOB ALERTS THEN JUST FOLLOW US @ WWW.SarkariNaukriBlog.In You can also follow us on Twitter, Facebook or many other Websites. sir Ptet 2015 results Kab Aayega. i'm waiting kya mai Reet 2015 Ke liya Apply Kar sakti hu.